This year I spoke at the Game Developers Conference about my 20 years designing Magic and the many lessons the game has taught me. Last week, this week, and next, this column is covering my talk and all its lessons. Last week I got through the first six lessons. Time to start with number seven. This story begins on a plane bound for Milwaukee, Wisconsin. I, and much of Wizards, was flying to Gen Con, the biggest American game convention. (The event has since moved from Milwaukee.) I was seated next to Christopher Rush, who sadly passed away earlier this year. (I did a whole podcast dedicated to Chris. Beware, it's a tearjerker.) For those who might not know, Chris worked at Wizards for many years, and I'm very happy I got a chance to know him. Anyway, Chris was sitting next to me on the plane and we started talking. Chris had an idea for a different way to do a basic land. "Everyone knows what basic lands do," Chris said. "We don't need to waste space telling you. Let's just use the whole card for art." I asked what others thought of his idea. Chris said no one wanted to do it. He was told that players didn't care about their basic lands, that they weren't supposed to draw attention. Chris was sure that wasn't true, but he was unable to get support. I told him I thought it was a great idea. In college I took yet another class—this time one in advertising. In it, I learned a very interesting fact. If you're in a store staring at a shelf and you've never purchased a particular product before, what are you most likely to purchase? The answer is the brand you're most familiar with. Why is that? What this means for game design is that it's important for your players to have a personal connection with your game. The more the player feels the game is about them, the more positively their brain will think of it. So how do you do that? Provide your players with a lot of choices. Give them different resources, different paths, different expressions. Give the players the ability to choose (and not choose) things, allowing them to feel that what they chose is "theirs." Magic does a good job of this. It allows players to make all sorts of choices. They can choose colors, creatures, characters, factions, illustrations, even frames. It turns out, Christopher Rush was on to something. This lesson takes us back to 2013 and the expansion Gatecrash, the second set in the Return to Ravnica block. In it, we made a card called Totally Lost. It was nothing special, a card designed to be played in Limited and maybe casual Constructed at most. Little did we know that this card would be one of the most influential in the set. Why? Because of this guy. As players explore their choices, they are searching for things to bond with. They want to find a piece of the game to call their own. 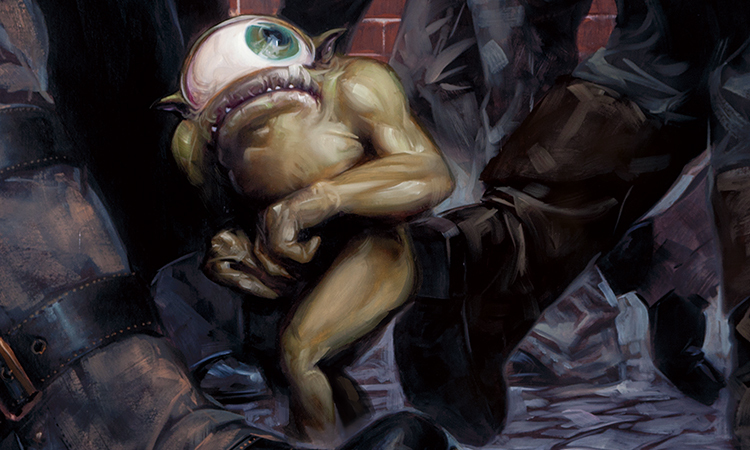 In Magic, players bond over cards and characters, sometimes over a single image. This means the details matter, because the individual will bond with the game through the details. What might seem insignificant is anything but. That small detail might only matter to a tiny percentage of people, but to that percentage it could mean everything, because that might be the thing that makes the player fall in love with your game. Players' need for individuality is strong, which means that they will be looking to find a small corner of your game where they can feel a special connection. Big things tend to gather too much attention, so it's in the smaller details where players will attach the strongest emotionally, which means that the details are actually far from insignificant. There are many different ways to play Magic. We refer to them as formats. 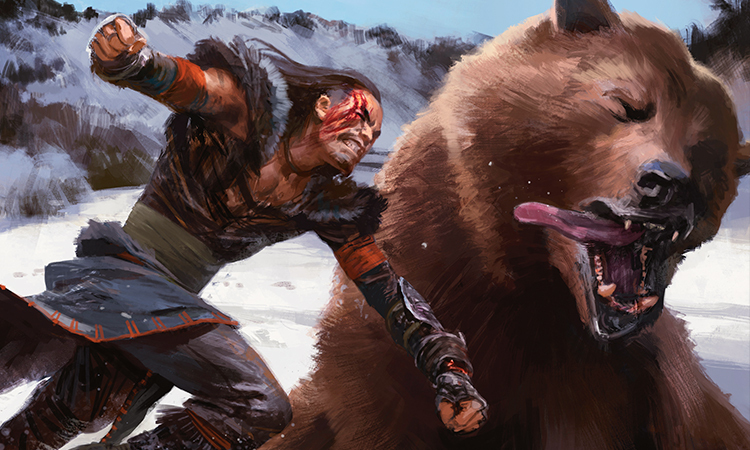 Some formats are things that we've created, things like Standard and Modern and Booster Draft. Other formats were designed not by us but by the players. Examples include Pauper, Emperor, and Commander. The last one is what I want to talk about. Commander started as a format when some judges wanted something to play after long days of judging. They were looking for something with some flavor to it, so they started by focusing on the five Elder Dragon legends from the set Legends. With time, this evolved to caring about legendary creatures—that is, creatures in the game that represent specific characters. For those who have never played Commander, here's how it works. (I'm simplifying things for brevity's sake.) You choose any legendary creature to be your commander. You then choose 99 other cards, with two major constraints. One, all cards must be, and only be, the colors of your commander. Two, you cannot have a repeat of any card other than basic land. That means you have a 100-card singleton deck. Once players have made their choices and bonded over details, it's time to move on to the next agenda—you need to add customization. You want to give your players the ability to build things that are uniquely their own. In Magic, this customization can happen with a format, as it did with Commander, but it's most often seen through deck building. Players get to choose any 60 cards, or any 100 cards, or whatever number their format calls for. They get to choose from over 15,000 different unique cards. And for each card they pick, they get to choose which specific version they want. The result is that they don't just create a deck, they create their deck, something that personally represents them. Which means when their deck wins, they win, because their deck is no longer just a part of the game, it's an extension of themselves. As game designers, we have to understand this basic human need. You're simply more attached to things that you had a hand in creating. Customization isn't just a way to crowd-source content, it's a means to give players the tools to make your game personal. For this lesson, I need to introduce you to two cards. The first is Summoner's Pact from the expansion Future Sight. The second card to introduce you to is Hive Mind from the Magic 2010 core set. Hive Mind is an enchantment that copies any instant or sorcery for every other player in the game. The card was designed to do lots of fun stuff in multiplayer games. The idea is, if I cast a Divination to draw two cards, then all other players also cast a Divination and also draw two cards. So what happens when you combine these two cards? Well, you play Hive Mind. Then when you cast Summoner's Pact, all other players get to cast a Summoner's Pact. That means they each get to go through their library and put a green creature in their hand. Note that not everyone is going to be playing green, so many of them won't even get a creature. But that's not the interesting part. Each player is also paying on credit. Each one of them will have to pay 2GG on their next turn or lose the game. Many of them won't even have the means to pay the cost, while others might not have 2GG available. All those players then lose the game on their next turn. You've given the player choices, details, and customization. It's time to start talking about presentation. Before I was a game designer, I had a very different career. I worked in Hollywood as a sitcom writer. A big part of that job is something known as a pitch. You have to stand up in front of a roomful of people and sell your idea for a story. Pitching is so important for writers in Hollywood that you take classes to learn how to do it better. The number one rule I learned from these classes was this: don't talk at your audience, talk with them. For instance, here's a good trick we learned. Instead of just telling your audience the plot of your story, tell them a piece of it and get them to ask you a question. Then tell them more of the story through answering the question. Why is this valuable? Because people are more invested in things that they initiated. By getting your audience in a pitch to ask a question, you've now involved them in the conversation. They are invested in hearing the answer to their question. What this means in game design is that you don't want to always show the players the things you want them to see. Let them find them. Give them the choices, details, and customization, but let there be things for them to discover—because if they find it, they'll be more invested. The majority of Wizards of the Coast employees know how to play Magic, but most them aren't in R&D. Many years ago, R&D realized that we could take advantage of this resource. Every set, we put together something we call the Rare Poll. We get Magic enthusiasts from around the company to look at the rare and mythic rare cards from a set in development. They are then asked to rate the cards on a scale of 1 to 10, with 1 being something they'd be unhappy to open in a booster pack and 10 being something they'd be very excited to open. We've been doing Rare Polls for many years and have been continually refining the process. Having done this for a long time, we've learned a lot. Here's one thing. Let me phrase it as a question so you can pick what you think the answer is before I tell you. Imagine you have two cards. One card got all 7s. The other card got half 1s and 2s and half 9s and 10s. Assuming you could only put one of them in your set, which would you choose? I'll give you a minute. Choose your answer and then proceed to the next paragraph. The metaphor I'll use for this lesson is a blind date. Before you go on the blind date, you make a list of qualities that matter to you. Now, which is better? Your date hits positively on every metric you set, but there was no chemistry; or you had great chemistry, but not all of the metrics were met. Most people would pick the latter. What does it matter if the person has fewer negatives if they have no strong positives? The goal of a date isn't minimizing negative attributes, it's finding ones to get excited about. Maybe the latter doesn't work out, but it's much more likely to lead to a second date. Your players don't need to love everything, but they need to love something. Something has to draw them into your game, something they feel strongly about. Don't worry that the players will hate something. Instead, worry that no one will love anything. Things that evoke strong responses will most often evoke strong responses in many directions, meaning it's almost impossible to make some players love something without making other players hate it. In fact, some players enjoy hating what other players love. So stop worrying about evoking a negative response and start worrying about evoking a strong response. Our next lesson takes us back to May 2012 and the expansion Avacyn Restored. 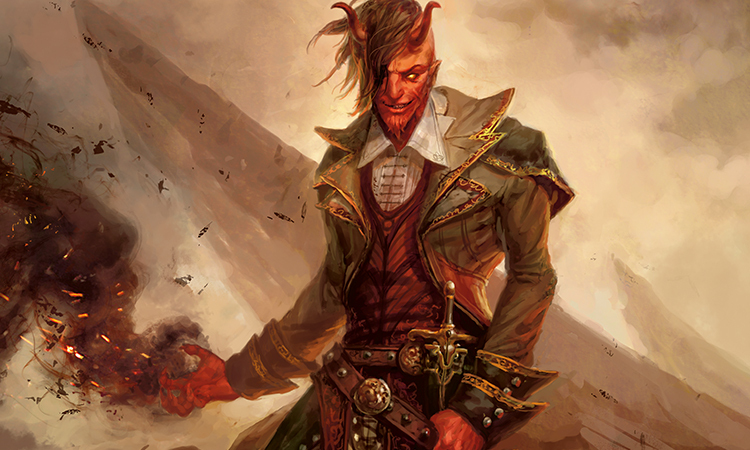 In it, we had a devil planeswalker named Tibalt. Now, at the time we 'd made a number of planeswalkers, some costing three mana, some four, some five, and some six, but we'd never made one that cost two. What if we made Tibalt a two-cost planeswalker? It's important to note that costing two mana served nothing about the card or the character. We just did it to see if we could. People who create tend to have larger egos, because it takes ego to will something into existence. Having an ego is fine, but you can't let your ego drive your motivations. Remember that the goal of good game design is to "deliver an optimal experience for your target audience." Your decisions have to serve your game and not yourself. Ask yourself, "Is this decision helping me achieve the optimal experience for my target audience, or is it being done to fulfill an inward-facing need for self-satisfaction?" If the answer is the latter, you're doing it for the wrong reason. People who make games are gamers. It's so easy to want to see the making of games as itself a game. But entertaining yourself or challenging yourself or proving what you are capable of are not reasons unto themselves to do something. You have to check your motivations and make sure that it's about making the game what it needs to be and not using it as a means to prove something about yourself. Of all my 20 lessons, this was probably the hardest one to learn. This lesson takes us back to the year 2004 and the supplemental set Unhinged. For those unfamiliar with the Un-sets, they are silver-bordered sets (meaning they aren't allowed in tournaments) designed to be humorous and approach themes and game mechanics that we couldn't or didn't want to do in normal black-bordered Magic. The game is often very competitive, and we made Unhinged (and Unglued before it) to remind players that Magic can be fun. In Unhinged, I made a mechanic called gotcha. The way it worked was that if a gotcha card was in your graveyard and your opponent performed a certain action, you could say "Gotcha" and get the card back in your hand. Essentially, the idea was that gotcha cards were supposed to add weird parameters to what players did. A bunch of gotcha cards triggered if your opponents said certain words, all of which were commonly used in Magic. One gotcha card cared if you touched your face. Another cared if you touched the table. Another cared if you said a number. Another cared if you flicked your cards. One even cared if you laughed. It's not the players' job to find the fun. It is your job as the game designer to put the fun where the players can't help but find it. When the players sit down to play a game, there's an implied promise from the game designer that if they do what the game tells them to do, it will be fun. So most players will do whatever the game tells them to do to achieve the desired goal (usually win), even if that thing isn't fun. When the game is done, if the players didn't enjoy themselves, they will blame the game—and rightfully so! It's your job as a game designer to make sure that what it takes to succeed at your game is the very thing that makes the game fun. Fun cannot be tangential; it has to be the core component of your game experience. I can't stress this enough. You can't hide the fun and expect your players to hunt for it. That's not their job. It's your job as a game designer to lead the players to the fun. We're two-thirds of the way there. As always, I'm eager for any feedback on this column or thoughts on game design in general. You can email me or contact me through any of my social media accounts (Twitter, Tumblr, Google+, and Instagram). Join me next week for my third and final "Twenty Years, Twenty Lessons" column. Until then, may you always find the fun in the games you play. "Drive to Work #336—Top 10: Non-Evergreen Mechanics"
This podcast is another in my "Top 10" series, where I explore Top 10 lists I've made. Today, I talk about my Top 10 favorite non-evergreen mechanics. "Drive to Work #337—Gaming's Past"
A lot has changed about gaming and how it's publicly perceived since my youth. In this podcast, I explore those changes and talk about how it affects today's games.